Inter Milan have announced they will appeal against the three-match ban imposed on manager Jose Mourinho as well as the suspensions awarded to Esteban Cambiasso and Sulley Muntari by the Lega Calcio. Mourinho was given the ban and fined 40,000 euros (35,000) following his handcuffs gesture during Saturday"s match with Sampdoria in which two Inter players were sent off. Inter defenders Walter Samuel and Ivan Cordoba both saw red during the goalless draw at the San Siro, prompting Mourinho to cross his arms in a gesture which has been interpreted as his way of suggesting his side were being victimised by officials. The suspension applies to Serie A matches meaning he will be banned from the dugout for the games against Udinese, Genoa and Catania as Inter look to maintain their lead at the top of the table. 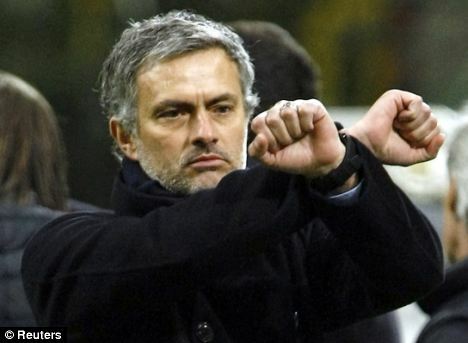 However Mourinho can take his place on the touchline for Wednesday"s Champions League clash with Chelsea. Muntari and Cambiasso were suspended for two games, the former for insulting match officials while the latter was punished for attempting to punch a Sampdoria player. Samuel and Cordoba were given automatic one-match bans which the club are not contesting. Owner Massimo Moratti admitted he had not expected such action by the Lega Calcio, saying: "No, not to this extent." Inter were furious after Saturday"s game and no-one was made available to speak to the Italian press. Moratti, though, played down the significance of any media blackout, insisting it was so the players could focus on their Champions League clash against Chelsea. "What do you mean by "silent protest?" Moratti added. "The reason for the press blackout is to protect the team, not to protest. "We were trying not to add fuel to the polemics, considering that we have an important match to play on Wednesday. It is a respectful press blackout that has been interpreted badly by you journalists."